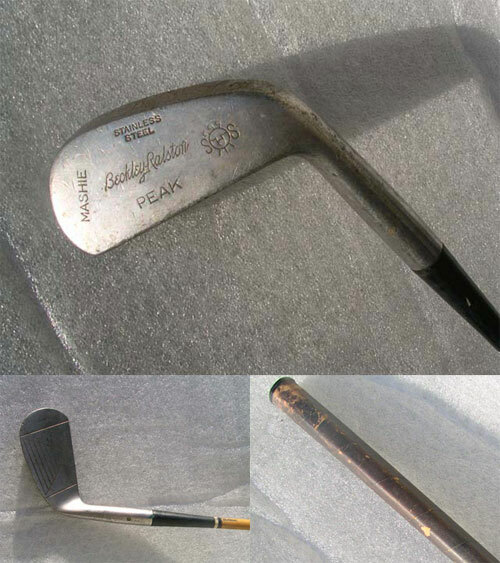 This is a 1930's Beckley Ralston Peak Mashie 5-Iron. It is in great shape and has the coated wood finish on the shaft. It aso has a octogon shaped leather wrap grip. Great collectors item!